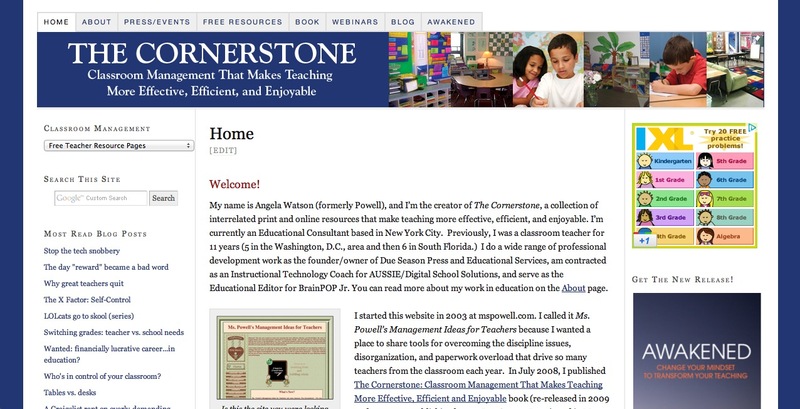 The Cornerstone Devotions for Teachers: Do I haaaave to? You can probably imagine a child saying this. But no, that was me whining last Sunday morning. It was the day before teachers returned to school, and I wanted nothing more than to putter around at home, wrapping up loose ends and relaxing a little bit more before the regular routine starts again. But, I was supposed to participate in a special outreach with my church, an afternoon block party in a local mobile home community. There would be a concert, skits, a cookout, a moon bounce, grocery distribution, and more, all free for the residents to show the love of Jesus. Sounds like fun- for the participants. For me, I knew it would be a lot of work. So, I began the long process of trying to weasel my way out of this. I opened the curtains, hoping to see rain pouring down (oh darn, the event would have be postponed). No such luck- the sun was blazing across a cloudless sky. I pulled up my laptop and checked the weather forecast. Great, the heat index is 99. Come on, God, you don’t really expect me to be out in that kind of weather, do you? That can’t be good for me… but after people doing God’s work without the invention of air conditioning for thousands of years, I somehow didn’t think God was falling for that line. I decided to call a friend to see if maybe she would come with me and give me some accountability for showing up (or better yet, help me justify why I didn’t need to go). The call went straight to voicemail. I flopped on my bed and stared at the ceiling, realizing that I was out of excuses. I was absolutely positive that God wanted me to go because no one was pressuring me, yet I got that sick, guilty feeling in the pit of my stomach when I thought of staying home. It had all boiled down to this: Was I going to be obedient or not? Had I truly put God in charge of all my steps or was I letting my flesh control me? I knew what I had to do. So I started whining… out loud… “Do I haaaave to, Lord? Please don’t make me do this- I don’t waaaaant to!!!”. Suddenly God impressed upon me that I was acting just like Jonah. God asked him to go and deliver a word to the Ninevites, but Jonah protested and then literally ran and hid from God. But God pursued him, punished him, and- here’s the kicker- Jonah STILL ended up having to go to Ninevah! I had the feeling the same thing was going to happen to me, and I could either listen the first time God asked, or face the consequences of disobedience and then do what I was asked. He wasn’t going to give up on this! I sighed again. “Fine. I’ll go. I know that You have a plan in this, and anything I do this afternoon at home would be a total waste because you wouldn’t bless it. I asked You last night to help me achieve more balance in my life and this must be my first test- I’ll trust You to provide the time I need at home later. But I just want you to know- I still don’t want to go!”. At the outreach, I ended up sorting and distributing school supplies to the kids who came to the block party… in the air conditioning! The Lord was truly merciful and I had to smile at the way He rewarded my obedience by providing relief from my primary excuse not to go. The outreach was a huge success- around 2 dozen people gave their lives to Christ, and many more were touched by the event. I had a blast- I met some incredible people and really had FUN seeing the Lord at work. And I had plenty of time afterwards to accomplish what I needed to at home because He sustained me and gave me the energy to keep going. Although being at home would have been more comfortable, I can’t think of a more rewarding and uplifting way to spend a Sunday- God wanted to bless me and use me to bless others, and I would have really missed out. The beginning of the school year is usually the most time-consuming for teachers- I often work 14 hour days and weekends in August getting everything set up just right. We don’t have time for the same things we did during the summer, and the demands are never-ending. This is a time when balance is essential- we need to do make time for God, our families, our ministries, our job, ourselves, and everything else important in our lives. However, God has to come first. Because He isn’t literally in our faces making requests like other people, it can be easy to give Him what’s leftover. But God wants us to devote time to Him first and give the extra time to our families and jobs. It’s tempting to cut back on our ministries, skip church, and collapse into bed without spending daily time alone with Him in prayer and the Word. We’ll come up with all kinds of ways to justify our behavior, even though we know that if we want to keep our sanity during the start of this school year, we’ve got to put God first and trust Him to meet the rest of our needs. He proved to me this week just how faithful He is in that promise! He will give us direction and help us manage our time. The things we do to prepare our classrooms are important, but our priority always has to be the things that have eternal value. VERSE TO REMEMBER: "What I'm trying to do here is get you to relax, not be so preoccupied with getting so you can respond to God's giving. People who don't know God and the way he works fuss over these things, but you know both God and how he works. Steep yourself in God-reality, God-initiative, God-provisions. You'll find all your everyday human concerns will be met. (Jesus speaking to His disciples in Luke 12:29-31, The Message Translation). READ: Luke 12: 13-34. As you read, remember that the way you use your time reveals your attitude towards God, and that most of the things we put so much effort into on earth have no eternal worth. Jesus explains that we don’t need to worry about getting mundane things done if we’re focusing on doing His work, because our heavenly Father is pleased to meet all of our needs. PRAY: Lord, I pray that you will give me strength during the busy and exciting weeks ahead. Help me to stay focused on You because that’s the only way I’m going to be able to accomplish what I need to. Remind me that my life is like a vapor in the wind, and my time here on earth is too short to get caught up on things like bulletin boards and desk arrangements at the expense of preparing myself and others for Your kingdom. Please help me to make things with an eternal impact my priority, and to trust You to handle the details at work and home. You say in Your word that all who are weary and heavy-laden should come to You, and You will give us rest. I lay my burdens down at Your feet now. Thank you for freeing me from worry and anxiety. CHALLENGE: You’ve put a smile on God’s face by taking the time to read this devotion because you’re already setting aside time for Him! When you’re stressed out , remind yourself that your purpose in this world is to bring glory to God and draw others to Him, not have a perfect classroom. Make a list of your time commitments for the month of August- family obligations, personal interests, ministries at church, etc., and ask the Lord to show you which things are important to keep and which things are holding you back from accomplishing His purpose for you. Let go of the excessive committees, T.V. shows, and other routines that you have slipped into out of habit or because other people have pressured you into doing them, and spend that time alone with God or serving Him instead. When you put Him in charge of managing your time, you’ll find (like I have) that you have a lot more of it. I have been struggling with this very thing. I am a teacher, I am working on my master's and I was asked to teach Awana at my church. I have been stressed about doing it all. Your devotion helped me put it in to prospective! 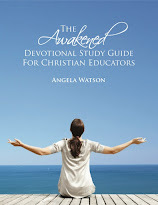 Thanks for sharing your devotions and your teacher website. I too am a teacher. Amzingly, this devotion was posted in Aug. and I am now reading it on Feb. 25th at 2:48 AM in the morning. I was so uplifted by this devotion. I woke up around 2:00 AM and could not go back to sleep for thinking of all the demands in my life. So many times I have prayed and ask God to help me prioritize the events in my life. I well for a period of time and think I sink back. So many demands have been placed on the teachers in my school due to low test scores and not meeting AYP. However, I realize what I must do. It is important that I put the God of my salvation first at all times and He will do the rest. Glory to His name! Thanks for helping to refocus once again. Very timely devotion for me. Our church is hosting Vacation Bible School the week before teachers report back to school. The first day of VBS is the first day I'm allowed back in my classroom. While I have said I won't be teaching this year, my church friends are confused about my decision, mainly because other teachers have committed to teaching VBS. If I'm honest, they are very disappointed with my decision. 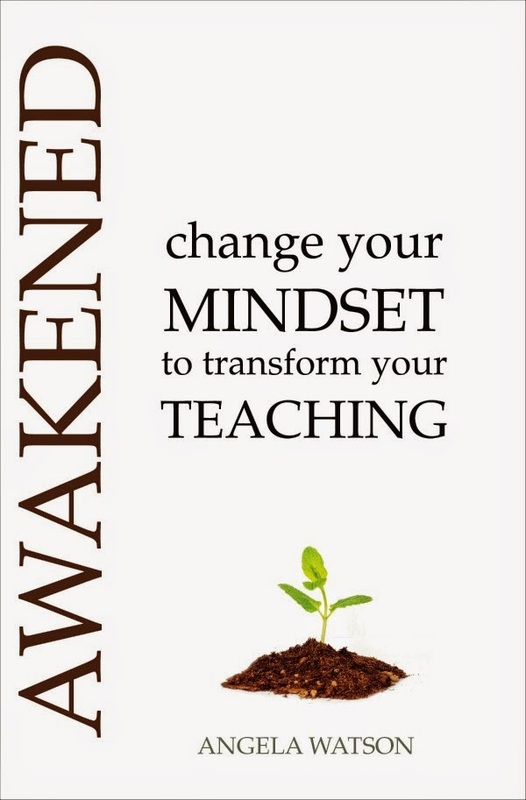 Thank you for encouraging Christian teachers. Those of us teaching in public schools especially appreciate the support.